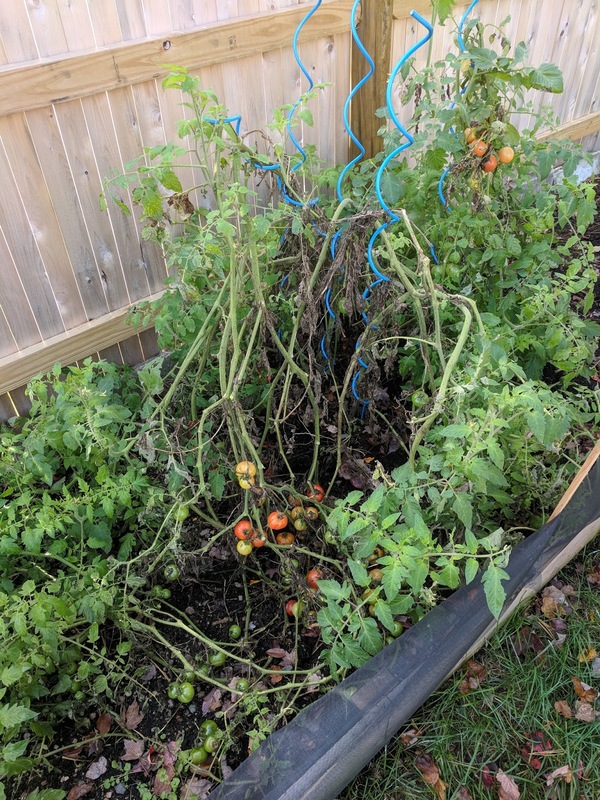 This year was not a great year for tomatoes. A couple months ago we had a terrible windy storm that thrashed them pretty hard and I had not taken the proper precautions to protect them. 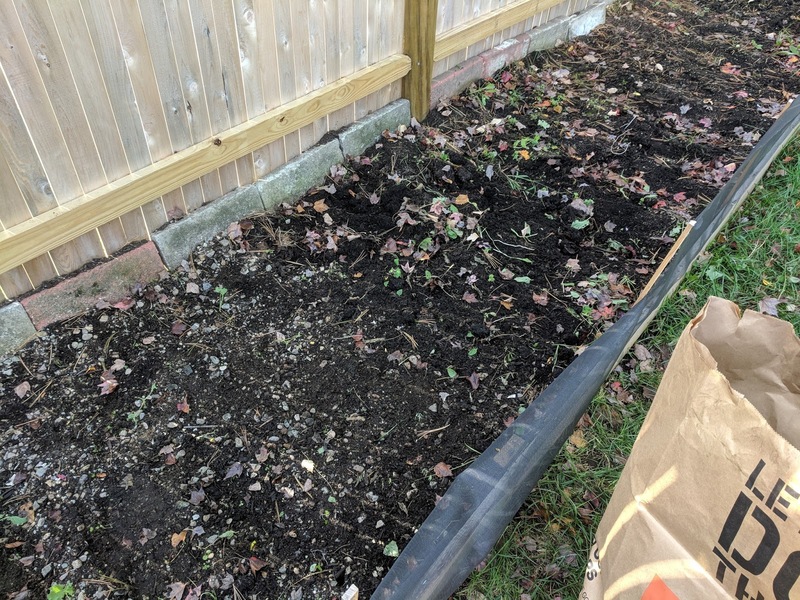 So this past weekend, I finally tore them out of the ground and stuffed the poor, poor plants into bags, meeting the same fate as their cucumber brothers. I learned some lessons though, for starters, plant them earlier so they harvest earlier. I did not get very many tomatoes from the plants before it started getting chilly. Second, I need to tie the tomato stalks off to the poles to keep them upright and secure. I have a bunch of twine, I just didn't think to tie them off. But I got a new book on tomato plants that talked about making sure to tie them off to stakes to protect them from wind, so next year I will do that. It's all been learning. This year has been insightful so far. I still have some onion, garlic and spinach growing (and Kale but the fallen tomato plants pretty much crushed them) so we'll see if I can get anything out of them before it gets too cold to grow anymore. I believe the spinach has survived one frost already so we'll see how far in it can go. This year has been pretty warm, first frost was supposed to be October 10, but it's already November 9 and I think we've only gotten one frost. 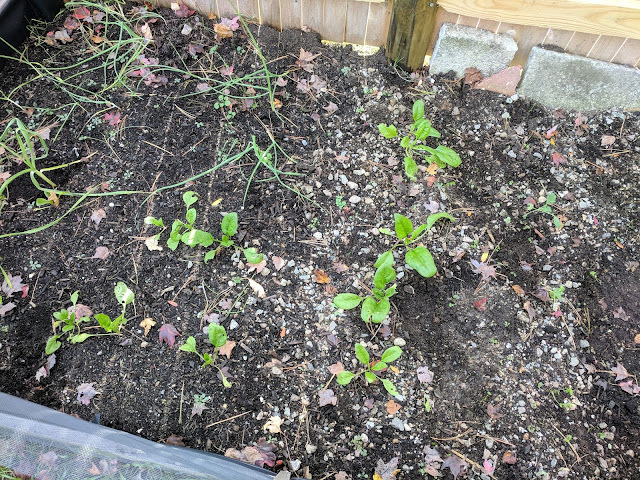 Things are winding down for the year, outside of the basement herb garden, which is a little sad, it's been fun working in the yard. It's going to be a long winter before we get back to planting and gardening again in the spring.